If you have not heard already, Google will soon start penalizing websites that are not mobile-friendly from April 21. You could lose as much as 30-50% of you traffic based on current trends (likely to be more). Read all about it from this SmartCompany magazine article. Just type in the web address of your website and see what results come out. The tool will test your website speed on mobile and desktop. If you did not get 100%, don’t worry common website features will downgrade the score; features such as slide shows, using Google Fonts (yes, this is a strange one) will contribute to the downgrade. However, if your score is 79% or below you probably should investigate the problem. We have a lot of experience with many Australian web hosting companies. Crucial is the best by far because you are not treated like just another number. 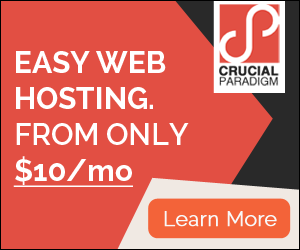 Their platform is comparable to any US based web hosting and because they are Australian they have a lower latency time. Netology has been a customer and partner with Crucial since 2009. SiteGround has a fantastic business hosting package (Go Geek) which allows business websites to have “staging” areas, which allows the web developer to quickly create a replica of the live website, make changes and publish the new changes by pushing a few buttons. This minimizes disruptions to your business websites. They also have fantastic support and their servers and data centers are very quick.